We love VBS at St. John’s. VBS is usually held in June. Check back in the Spring for dates and registration info. We are proud to offer our program free of charge. Together with adult and teen volunteers we learn stories from the bible, play games and make crafts. 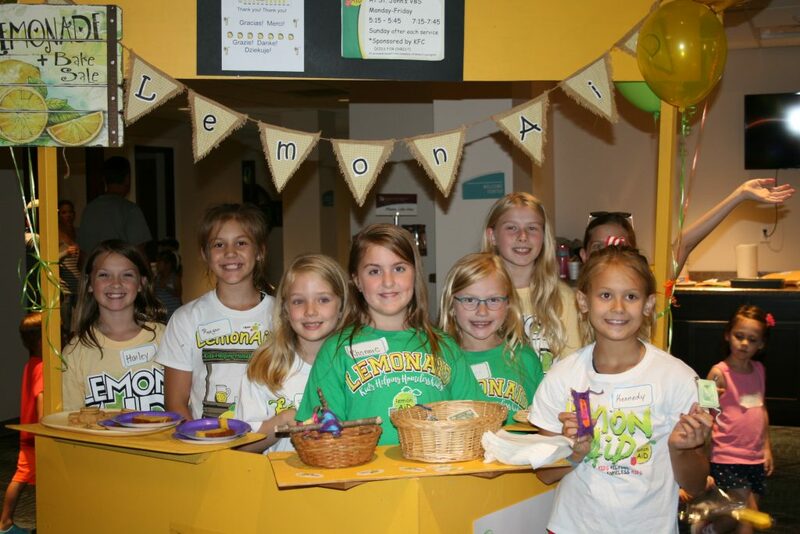 Over the last many years during VBS we have supported the Salvation Army’s LemonAid Days program. Our KFC youth group provides snacks and LemonAids and sells them before and after to support that worthy cause. Questions about VBS at St. John’s? Use the email form below to send a message.